The Royal Canadian Mint has placed a strict and low mintage on these Predator Series coins. With the unprecedented demand of these gorgeous .9999 fine Silver coins in Europe and the rest of the world, these Cougar coins will sell out very fast! 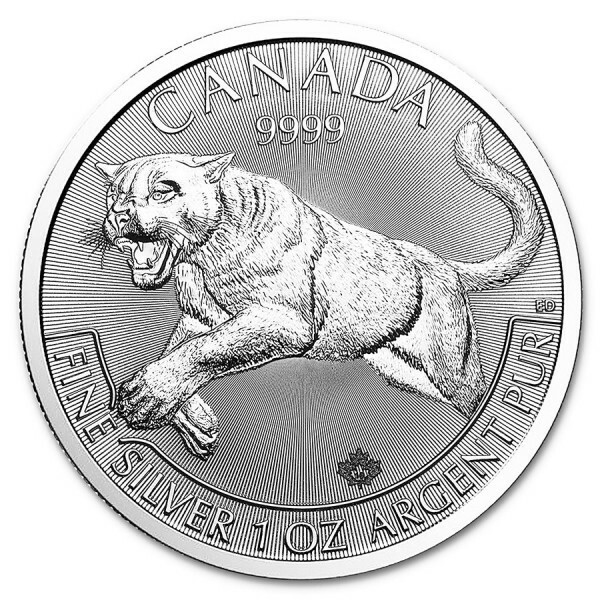 The Canadian Cougar coin is the first coin released in the Royal Canadian Mint's "Canadian Predator Coin Series" program. 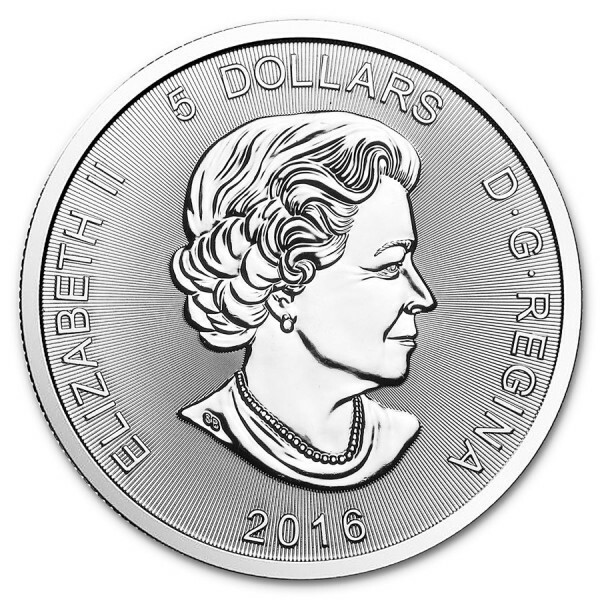 The obverse of the coin bears the Susanna Blunt designed likeness of Queen Elizabeth II with a $5 CAN face value. The reverse shows a powerful cougar with mouth open in a show of strength. This coin is slightly circulated, it may have some spots and/or scratches.